Characters from past games such as Animal Friends and Marx are offered as free downloadable content (Photo courtesy of Nintendo). Anyone can unwind with a Kirby game in front of them. Released on the Nintendo Switch on March 16, “Kirby: Star Allies” follows the long-standing premise of a cute, pink blob with an insatiable appetite for saving the world. 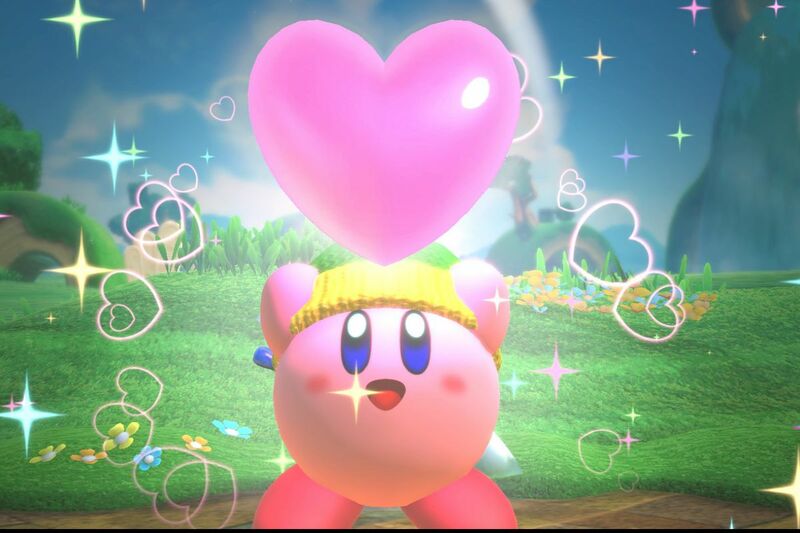 One knows the drill by now—a newly discovered threat to Kirby’s home has appeared, and it is up to the player to assimilate its foes like the adorable puffball it is. Returning to the console scene, this installment of Kirby lives up to its expectations. And what a jump to console it is. With the newfound graphic capabilities of the Nintendo Switch, “Kirby: Star Allies” shows off its vivid landscapes and pleasing color palettes. This bright and cheery atmosphere lends itself well to the franchise as a whole, helping to put the player at ease in the even more stressful situations that the levels have to offer. That said, this game will be hard-pressed in keeping the player in a difficult situation. The Kirby series has earned a reputation for its simplistic, easy-to-master gameplay, and “Star Allies” is no exception. This time around, the player may not even need to hit the enemies in front of them, when they can have their allies do all the heavy lifting for them. Despite this, “Star Allies” will not leave the player bored to tears. The stages laid out for the player are all well thought-out puzzles that involve the occasional curb stomping of enemy forces. The game encourages the player to be mindful of the members of their posse, though simply replacing them as soon as possible often removes that level of decision-making. To say that Kirby games have story to them would be an overstatement. Kirby wakes up, finds a MacGuffin of villain number 27, and begins yet another journey to stop the planet of Popstar from the unreasonable number of forces conspiring against it. Yet, despite such a predictable premise, Kirby has managed to roll with it. “Star Allies” knows that its plot is horrible, and instead makes light of it through its characters and lines, the few times it has any. It fits right in with its care-free design, not making the player sweat any of the details as one sinks into the enjoyment that is a typical Kirby game. Lasting as one of the oldest series in the Nintendo library, it is remarkable enough that Kirby has remained engaging up to this day. It is clear that Kirby remains the powerhouse it is for what it has to offer beyond the other Nintendo IPs: good old, casual fun. “Star Allies” is a blast to play, and not because of any difficulty curves or challenging bosses. Between its beautiful design, simplistic gameplay and hindering story, “Star Allies” succeeds for its ability to be enjoyed by all audiences. Should one look to pick this game up, the main story mode should last them between six to eight hours.